We are committed to providing a wide variety of care options to suit the needs of individuals. 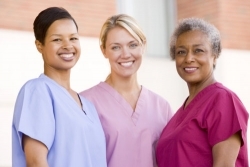 Our caregivers are well-equipped to deliver care services in a highly professional and dignified manner. They are compassionate about what they do and they provide a client-centered approach to care. They collaborate with each other to realize the care goals of our clients. All our staff members have undergone a rigorous background check, an in-depth interview, and verification of professional and personal references. You can rest assured that you are in good, trusted, and capable hands when acquiring our services. For further inquiries about Non-Medical Home Care in Winter Haven, FL, you may contact us at 863-438-4394. You may also send us a message on our Contact Us page.